Thetraveljunkie.org – I spent the half day leading up to the event being very excited, nervous and unable to sleep. I even had yoga diving dreams! You know you’re a serious yoga dive when you have diving dreams haha. 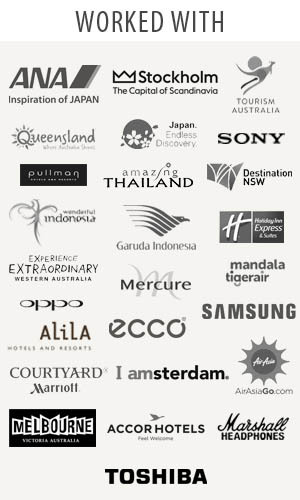 The night before the event at Courtyard by Marriott Bali Nusa Dua, I met my Karin and I packed my daily bag and I was all ready to go. After that, I felt very calm and I was really looking forward to the next day. A bit like Christmas really. Or like I was getting married next morning. THAT’S how excited I was. I went to bed at 9pm. The next morning, I woke up at 5.30am. I leapt out of bed and went about getting ready. I went to MoMo cafe for breakfast. The sun was rising over the ocean and there was an incredible buzz in the air. 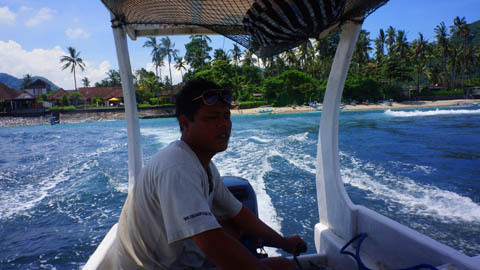 At 7am, I met my shuttle to Zen Harmony Diving, just east of Bali, Candidasa. Knowing we all were about to do something pretty damn cool. Phew. It was a pretty moment. The weather was just brilliant. Beautiful, big, bright, blue skies, warm sunshine, a gentle breeze. And the road was just long, straight and flat! 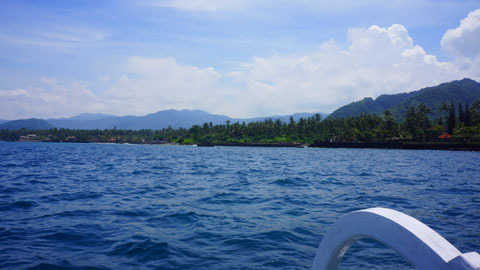 We arrived at the Rama Candidasa Dive & Spa Resort and walked to Zen Harmony Diving. My friend has organised for us to yoga dive. OK it sounds pretty glamorous and exciting. 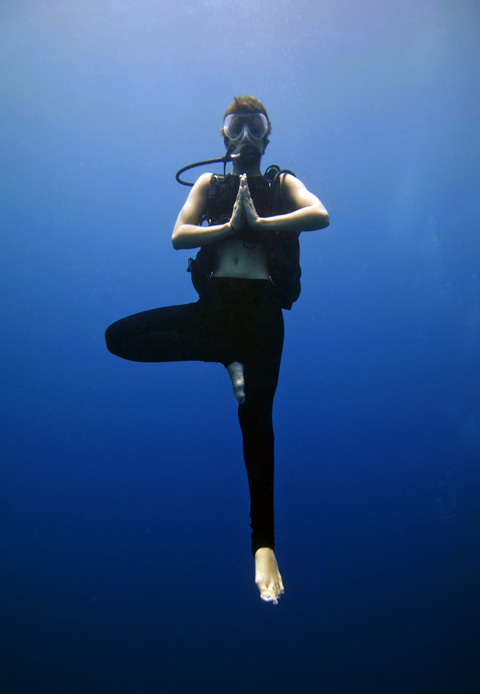 The yoga dive concept aims at restoring correct breathing patterns, improving buoyancy and air consumption, creating a meditative state of mind before and during the dive, removal of excess nitrogen after a dive, rejuvenating massages designed to release tension in the body, and special yoga exercises designed to increase flexibility and warm-up the body. 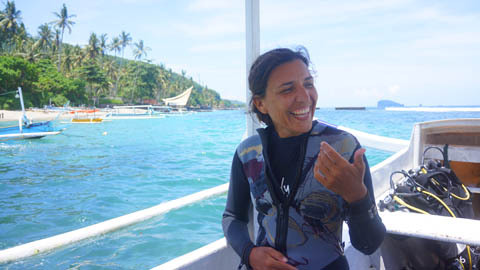 I went yoga diving — suitable for everybody: divers and non-divers, experienced yoga practitioners and beginners in both fields. It was such an incredible experience! Leading up to the event, lots of people asked me – How do you feel? The truth was, I was feeling very confident, chilled and quite relaxed about whole thing. As we geared up, I started to feel excited. I was finally doing something that I have wanted to do in such a long time! This was the moment! 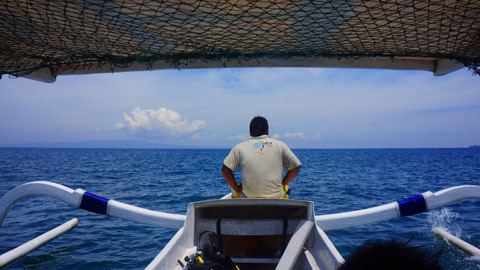 We got into the boat to the yoga dive spot. Backroll. It was very cool! The spots are pretty interesting.There were turtles, schools of fish, crabs, eels and seahorses! I am always amazed by the huge diversity of colours and textures in the detail of marine life. We saw a couple of seahorses hiding in the growth. As usual, they were just floating around in this spaced out kind of way. 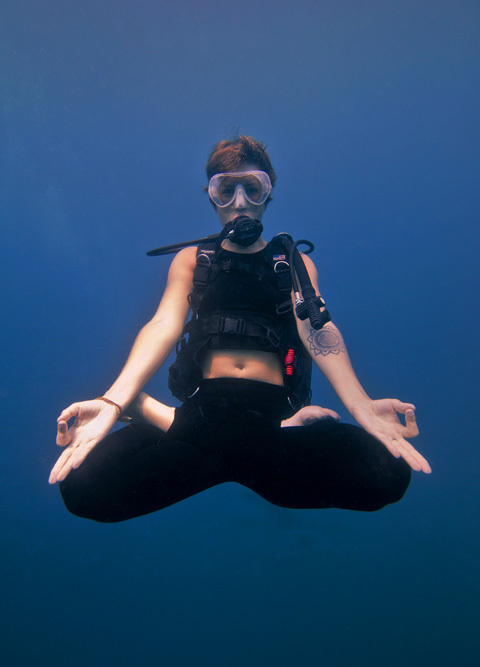 Yoga diving brings meditation off land and into the water to focus awareness on breathing through meditative and visualization techniques. And, combines techniques of hatha yoga asanas, pranayama and meditation with scuba diving in a beautiful, natural environment. A big thank you to my guru, Elena! Overall, it was a success. Relax. I can still remember how to meditation under the sea! I CAN YOGA DIVE! After the yoga dive, we got out of our gear, walked across the road, sat in a restaurant and had a special lunch. Awesome! 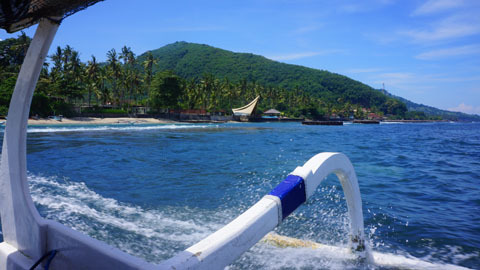 For more information about the Yoga Diving in Bali, visit www.zendivebali.com. Where Is the Bali’s Best Duck Char Siew? 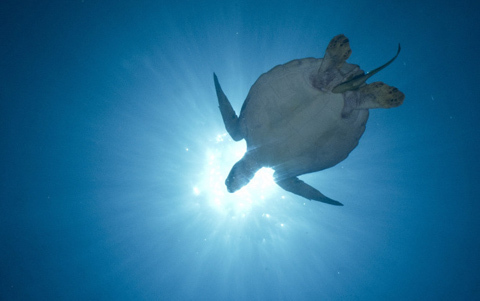 Wow, this is the first time I’ve heard of yoga diving–sounds like fun!